"To make a robot costs around 200 euros (257 US dollars)." "As winners and finalists from past year we are always favourites. But there are always surprises and each year it gets more difficult to win." "We always try to improve the software above all. But this year I decided to add side flaps to my robot so it would be tougher to hit it, and it really worked." "I'm learning to programme the robot so I can make it do what I want it to do on an imaginary planet." 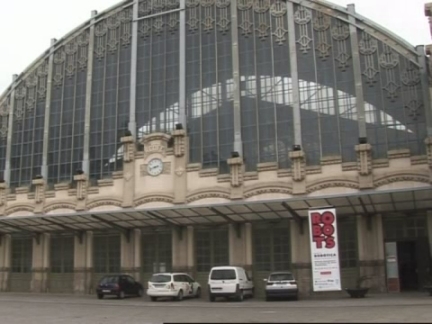 Spain's national robot contest was held on Sunday in Barcelona. It was the 12th such contest, and the most competitive prototypes won prizes in different categories such as light and heavy weight sumo wrestling and racing. The winners, from different Spanish regions as well as neighbouring Andorra, were awarded with small sums of money as well as public recognition in the robotic industry. According to one participant, Jordi Armengol, the competition got increasingly difficult each year. One of the aims of the National robot contest is to stimulate originality and creativity in the entrants. The activities also included open classes to teach children how to programme robots. "The iRobot Pakbot was first used for cave clearing in Afghanistan. They used to tie a rope around our soldiers and send them into a cave first. And you know the Taliban were hiding weapons caches in the caves. There could be ambushes, booby traps and you know, just the last occupant could be an enemy combatant. And so when the soldiers got to the mouth of the cave, they started calling for the robots. And they sent the robots in first to get a look at what was on the inside, to get more situational awareness." "Now the robots have been used for bomb disposal over in Iraq and Afghanistan, and so instead of sending a soldier up to a roadside bomb they now, they send our robots out. So the soldiers stay at a safe standoff distance and the robots are exposed to a potential life threatening blast. So these robots have now been credited with saving the lives of dozens and dozens of soldiers." "Some simple things greatly advance technology sometimes. And we woke up one day, and we discovered that you know there are thousands and thousands, well, millions and millions of teenage and early twenty Americans out there with thousands of hours of playing video games. And that same interface, watching a display, controlling with the hands that people do in gaming is that same way you can control a robot." "So one of the giant steps for us was getting an off-the-shelf X-Box or other game controller and now using that as a way to control the robot rather than an old, very cumbersome interface." Video games have long been under fire in America for their violent imagery that critics say encourage real-life conflict. But now the gaming consoles are influencing the way robots designed for use in war zones as controlled. PackBot, a 52-pound robot with rubber treads, lights, video cameras that zoom and swivel, obstacle-hurdling flippers and jointed manipulator arms with hand-like grippers designed to disable or destroy bombs. Made by Burlington, Mass.-based iRobot Corp, the robot is used by the United States military primarily for bomb disposal and reconnaissance in the field. The most prolific use of the robot has been for cave explorations in Afghanistan, where soldiers were once required to venture in with a tether tied around their waists to pull them out in case of injury. The company displays many of it's robots at its headquarters including Pakbots that have suffered damage in places like Afghanistan. The iRobot story began when Chairman and Co-Founder Helen Greiner was a student at MIT (Massachusetts Institute of Technology) and she noticed a great deal of interest in the robots made by the university's artificial intelligence lab. Thinking there must be a market for them, she founded iRobot with Rodney Brooks and Colin Angle. The company originally found success with robots that could be programmed to vacuum the room during the day, but quickly saw a market for military applications. Since then, iRobot has become a supplier of robots for the US military. Greiner explains why the Packbots have been useful in places like Afghanistan and how they have been able to save the lives of many soldiers. iRobot has created robots that soldiers can control using video game remotes, making training easier for a generation of young people that grew up on entertainment systems like the Playstation and Xbox. The mix between remote control toys, video games and useful tools has made the robots a big hit with young soldiers on the front lines. For Joe Dyer, President of Government and Industrial Robots at iRobot, using video game remotes is a perfect way to use skills that many young people have already developed. While the specific controls are different, tailored to the robots' movements, Dyer says soldiers are more comfortable with the interface and training takes place more quickly. The Packbot has two sets of rotors that allow it to turn easily and navigate bumpy terrain, and the pincer grip on the front has enough strength to pick up both delicate and heavier items. It can be manoeuvred with a controller much like one used for video games and a screen with the images collected from small cameras on the robot. IRobot won a $286 million contract in December 2007 to supply the U.S. Army with bomb-disarming robots. "It is not that with this concept we are denying the conventional four wheel vehicles loading four to five passengers. But we also need to pay attention to efficiency and the environment. So we try to combine these two concepts (four wheel vehicle and single seat vehicle) to make the world a better place and to make mobility more fun. That is our Research & Development concept looking for the future." Japanese car manufacturer Toyota on Wednesday unveiled its latest concept - a vehicle shaped like a chair. The "I-Real" is a single seat vehicle and is equipped with a sensor technology that detects nearing obstacles and passes information to the passenger by vibration and sound to avoid collision. It looks like a roofless plush armchair that scoots about on wheels, with buttons and controls on the arms. It changes positions, straightening up to move slowly among pedestrians or laying back to travel faster at up to 30 kilometres per hour (18.6 miles per hour). Road safety is only one of the designers' aspirations. "We also need to pay attention to efficiency and the environment," said Akihiro Yanaka, of Toyota Motor Corporation, at the vehicle's demonstration. "So we try to combine these two concepts (four wheel vehicle and single seat vehicle) to make the world a better place and to make mobility more fun." Toyota Motor Corporation is readying the model for the biannual Tokyo Motor Show which will open to the public on 27 October.
" The whole idea to create Kinetica which is the UK's first museum of kinetic electronic and experimental art is to provide a platform for all these types of art which is art of energy and movement and matter, light and sound and robotics, to come under one roof, so its essential platform for all these types of art on an international basis to come and be exhibited here." "Well we have two floors at Kinetica. Downstairs we have a amorphic robot works which is a body of work created over ten years and they are hydraulic and pneumatic robots so they are hybrids of man, animal and machine." "The simplest way to put it is this is a tribe of machines that perform myths. Mythological tribal machines how's that! The concept basically came out of the evolution of the machine themselves. It started out with one of the figures way in the back of the space. Over several years we created a tribe of these machines and they interact with each other in a musical and visual manner." "The technology is very simple we use pneumatic actuators (device responsible for actuating a mechanical device) in this case and electric motors and they are all driven by computer system." performance and slowly each of the machines, introduce them and it becomes this elaborate sound scape." "This is called "Birch to Stan". Basically the figure is half male and half female, this side of the hand is masculine while this hand is feminine. So if you look at the body when it stands up its divided in half. One whole side is male and one whole side is female." "I didn't what to expect I think it was stunning and I have no idea about arts, but this is something which is so different and so special." "It was truly fantastic, I enjoyed every moment of it"
" Well it was very different. I had never seen anything like that before. It was noisy. It was good. " "Fresh imaginative, different, extraordinary. Something you can take part in. Something you can have fun with. Makes you think. Makes think about the past the present and the future, love it." The first UK museum dedicated to moving or Kinetic art has opened it doors to the public in London. It showcases the latest Kinetic machines including performing robots which move to sounds, and interact with other machines using music and movement. London's Spitalfields market is famous for its bohemian community, fashion and design shops. Now the trendy area has a new attraction... a museum which celebrates the latest in robotic design. The first floor of the museum showcases New York designer Chico MacMurtie's latest amorphic robot designs. Amorphic means having no particular shape, and the creations which belong to this group roughly resemble humans and animals. Amorphic designs is a collaborative group of computer technicians artists and programmers who have created a number of sculptures and robots. Their aim was to create an interactive robot show for the public with machines interacting with, and reacting to, each other. The designers use light energy, sound and movement to create their art. The robots are powered by hand, air, or motor. Chico MacMurtie uses electric motors and a computer system to drive his creations . 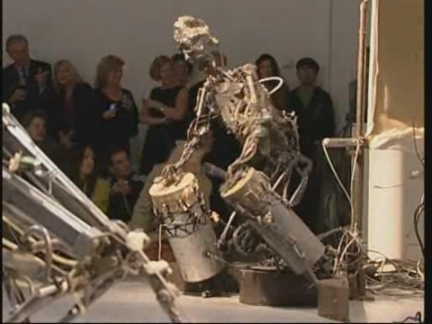 At various times throughout the show the robots interact with each other using movement and drums. Chico MacMurtrie, Artistic director for the Amorphic Robots project, describes the performing robots as a group of mythological tribal machines. MacMurtie was inspired by the evolution of the machines, and the way he could make the kinetic robots interact using music and energy. The main character of the performance is the dog monkey. Throughout the fifteen minute performance spectators follow the journey of dog monkey as he visits his robot ancestors. Dog monkey navigates the open space and visits each of the machines, interacting with them live. Another star of the show includes "Birch to Stan" a half male and half female figure. When the figure is crouching it is 6 feet (1.8 metres) high and when it is extended to full height it towers 8 feet (2.4 metres) above the audience. When the figure is elevated, the separate male and female sides are visible. Chico believes kinetic art is about processes of change and evolution. Sarah Weir, Executive Director of the Arts Council England, loved the show. She thought it was fresh, imaginative, different and extraordinary. She believes MacMurtie's creations make people think about the past, the present and the future. Kinetic art, which moves or appears to move, emerged in the late 1950s. One of the aims of kinetic art is not to dominate an art space but to include it using various movements. 4. UPSOUND (English): "Nice to see you. Who are you looking for?" Man answers: "Yuri"
"It's very difficult to communicate naturally, like human to human. At the moment we are just using the database with Sayah, but if we had a sophisticated artificial intelligence it will be possible to realise very natural communication between human and robot." "In particular they are able to mimic faces of people and let us feel that we speak with a person but in fact it's a doll, it's a robot and it makes the illusion so well, so you don't see it's not sophisticated and not intelligent as we are." 15. Sayah interacting with man at reception asking questions. "Bye bye"
Students and academics at Israel's Ben Gurion University, computer science department are being greeted by a new receptionist, who started work this week. Her neat appearance and demure demeanour hides her hidden secret, the thousands of electronic parts that make this robot receptionist work. There's a new receptionist on the front desk of the faculty of computer science at Israel's Ben Gurion University. Her name is Sayah and she's a robot. Sayah sits behind a desk in the reception lobby and greets visitors, asking them who they are looking for. The robot analyses the human response, searches her data base and comes up with a match. "He's in room 115"
Sayah is the creation of Dr. Hiroshi Kobayashi at the Tokyo University of Science. When the scientists at BGU heard about her, they decided she would be a great receptionist for their faculty where there is a heavy emphasis on robotics and artificial intelligence. The robot receptionist is the latest in a line of machines built by Kobayashi's team called 'face robots'. Unlike other robots presented in recent years to the public, Sayah presents a real effort to be human to create almost human-like interaction. On command, she can change her expression to one of anger, happiness, sadness or surprise. Dozens of small mechanical devices under her facial 'skin' can rearrange her lips, eyes and even nostrils, although Dr Kobayashi did not explain what makes this otherwise perfect employee turn on the anger. "Every single year I've had the fastest boat on the water but I've never actually won the title." 5. SOUNDBITE (English): Unnamed vox pop, solar boat race participant: "We ran into the buoy and then couldn't get off it." "They're learning that there's a lot more to science and engineering than just sitting in a classroom, and I think it's great. You can see that we get a great mix of kids out here and you know honestly, every time they have a disappointment they learn so much." "You've got to have your combination of series and parallel (circuits) exactly perfect and matched to the weather conditions." "It's wired in series (and) parallel, which means we can change the circuit to suit the weather." A group of Australian school children have been enjoying an outdoor lesson in renewable energy. They were taking part in the annual solar boat challenge in Sydney, Australia and learning about how the sun's power can be used in everyday life. Sydney's Penrith Regatta course was used for rowing during the 2000 Olympics, and there are still plenty of boats taking to its waters. These ones are a little smaller�designed by school students hoping to win a solar boat race. These budding engineers were having a day in the sun, with varying levels of success. Organisers of the annual event say this is the most fun you can have playing around with solar energy. Although the children enjoy the challenge, there's also a serious lesson involved, says event organiser Marcus Adler. The young skippers and their support teams spent the day plugging into the power of the sun. They learnt how best to wire their boats to take advantage of solar power and varying conditions. There were even random checks to make sure the vessels weren't using performance-enhancing batteries. After some vital adjustments, the boats were ready to take their spot in the race. Some of them suffered a watery fate, but there were rescue divers on hand to save their carefully-designed creations. Most of the entrants enjoyed a smooth day of sailing, with plenty of inspiration to tweak their designs for next year. The first Sydney solar boat challenge took place in 2006 and received more than 60 entries from primary and secondary school students. This flying robot might look like the best Christmas present ever but this is no toy. It is remotely piloted by brain power. This mind-bending device is taken through a test flight by robotics research students at the University of Maryland in the United States. It is Maryland''s Robotics Day, a chance for the students and researchers to show off their latest creations to the press and public. "It''s the Neuro Sky Mindset. It has four electrodes, three on your ear and one on your forehead and you just wear it like this." "We''re using electrical signals from the brain to determine a person''s level of attention. And then using that to then control the height of a micro quad rotor vehicle off of the ground." This slithering robot is inspired by the movement of a snake. Interlocking sections unclip and reattach, propelling the snake bot along the ground slowly, but surely. "Well because it''s a snake-inspired design we expect it to go through rubble into small spaces looking for possible victims of any kind of natural disaster." After an earthquake, or other disruptive disaster, the snake bot could reach into places a human rescuer could never squeeze. The University has a range of facilities for students to test their designs to the limits, like its 367,000 gallon neutral buoyancy research tank. This team of student divers can work on their underwater robotic arm in a safe environment. Eventually the team hopes the robotic arm will be used for underwater exploration. A flying robot piloted by brainwaves is just one of the smart new devices coming out of a top US university. Students show off their latest creations at the Maryland''s Robotics Day including the Neuro Sky Mindset and a snake-inspired search-and-rescue robot. "Well, I think as long as it actually gets my mail to where it's going, then there's no problem. And it's nice to see the post office do something funny every now and then." "It just seems like an extra expense that doesn't really need to happen." "They're interesting, but not funny. I wouldn't have noticed if you wouldn't have asked me." Hundreds of mailboxes in the United States have been given a make-over. 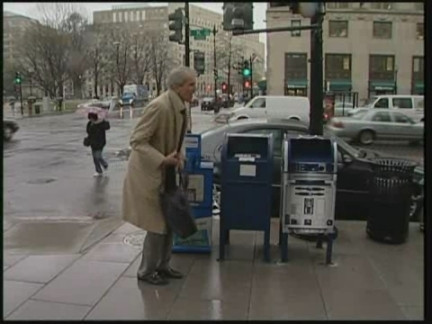 The mailboxes have been coated with a special covering to make them look like the robot "R2-D2" from the movie, "Star Wars." The Postal Service and Lucasfilm are working together on the anniversary project. Reaction from postal customers was varied. "Well, I think as long as it actually gets my mail to where it's going, then there's no problem. And it's nice to see the post office do something funny every now and then," said Chris Shinkman. "They're interesting, but not funny," said Chioma Iwuoha. "I wouldn't have noticed if you wouldn't have asked me," Iwuoha added. The newly decorated boxes have replaced the normal blue mailboxes usually seen on US streets. The promotional campaign is underway in some 200 US cities. "Traditional Japanese robots were made to be like humans. They make mistakes, they trip and fall, they get angry or laugh -- Japanese robots were made in a way to communicate with people ever since the Edo period. That is what is so amusing about Japanese robots." "Robots are a fellow friend, and it is a machine that will juggle about according to your will. Other countries have a different perspective. We do not have the idea that people "control" robots. Japanese robotics is about transmitting what you feel to the robot, and the robot understanding the person. Our idea of robots is to communicate to it as if it were a friend." 16. A man being asked to dance by a pink robot, robot asking "Shall we dance?" 23. Set up of Masato Hirose, Senior Chief Engineer of Honda R&D Co.,Ltd. 25. SOUNDBITE (Japanese) Masato Hirose, Senior Chief Engineer of Honda R&D Co.,Ltd. "Japanese people, like myself, are more used to the idea of robots and find it an endearing character. That is why I believe that a life with robots will help create a brighter society." "I am looking forward to be at your homes one day. Thank you for coming today! Bye Bye!" The Japanese consider themselves to be the world leaders in robotics. Now a new exhibition celebrates Japan's extensive collection of robots, by bringing together some of the best known prototypes. Honda's latest ASIMO robot can dance, walk and run in a human-like manner. The little android, which measures 1.30 metres (4.2 feet) and weighs 54 kilogrammes (8.5 stone), can make some impressive moves on the dance floor. The robot, which looks like a 4-foot-tall child in a space suit, can walk hand-in-hand with a human, balance on one foot, push a tray and run. The star attraction at the opening of a new exhibition on robotics at Tokyo's National Museum of Nature and Science, Asimo sprinted back and forth for reporters at 6 kilometres per hour (4 mph), double its previous time of 3 kilometres per hour (2 mph). The new technique demonstrates Asimo's improved balancing technology because both the robot's feet are airborne at the same time in mid-stride. ASIMO was created in 2000 by Japanese manufactures, Honda. Honda began developing humanoid robots in 1987 and now has 40 Asimos worldwide. The name comes from the acronym Advanced Step in Innovative Mobility. 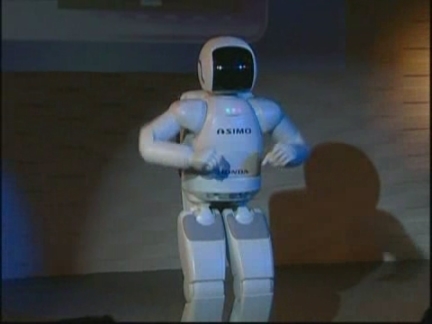 This latest version of the robot made its world debut in Japan on December 13, 2005. But as the exhibition at the National Museum of Nature and Science, shows, the Japanese have been dabbling in robotics since the 1600s. Kazuyoshi Suzuki, the senior curator of the National Museum of Nature and Science says there is a tradition in Japan to make robots as lifelike as possible. He explains that robots and mechanical gadgets have been made in Japan since the Edo period in the 1600's where wind-up dolls were shown to the public eyes in festivals and theatrical shows. "Karakuri" dolls,are the wind-up robotic dolls, that were often seen in traditional festivals such as the Gion festival of Kyoto. This 51 centimetre tall doll holds a bow and arrow can hit a target as far as a few metres away. The doll takes the first arrow, aims the target, and releases it without missing the target. Suzuki says the development of robots in Japan came from such mechanical dolls that were used to tell a story, thus he says that robots needed to be able to convey mood and feelings. He says that consequently the Japanese consider robots as a potential friend not a potential threat. Another interactive robot on display was Tohoku University' s ballroom dancing robot. The rigid pink PBDR, dancing partner robot glides across the floor by sensing the man's movements and following his lead. The cognitive censor is able to match the partner's movement using pre-programmed dance steps that are already installed in its computer. This means it can predicts the steps which the dance partner will take next. Also on display was the Chiba Institute Technology's football playing "Robocup Humanoid Robot". This two legged humanoid robot can move around freely in all directions, which allows it to play football. It can stand on one foot, to score a goal or on automatic mode as goalie it can sense an incoming goal and make a save. Thus a pair of robots could have a ten minute football match without any human interference. When the robot falls, it can stand up again without human help. ASIMO appears again to demonstrate its watering skills, delivering cups of coffee in a professional manner, illustrating how it was conceived as a house appliance rather than for industrial or scientific purposes. Honda hopes that an enhanced version of ASIMO may be available on the market in fifteen to twenty years time. Masato Hirose, Senior Chief Engineer of Honda, says that Japanese people are open to the idea of interacting with robots in everyday life. The company plans to start using Asimo's new receptionist functions at their offices early next year. Asimo is currently available only for rental, but is important for Honda's image and has appeared at events and TV ads. The current version can be leased for 20 million yen (US$ 170,000) a year. The Great Robot Exhibition runs from October 22, 2007 until 27th January of 2008 at Tokyo's National Museum of Nature and Science. "The system allows you to be anywhere in the hospital from anywhere in world. Having said that, I can easily log in from a few yards where this office is from the hospital or even from a different country over seas." "(the robot) combines the Internet, robotic technology, and wireless technology. All put together in this device that looks like a six-foot-tall vacuum cleaner if you will, but it is a little more sophisticated than that. " 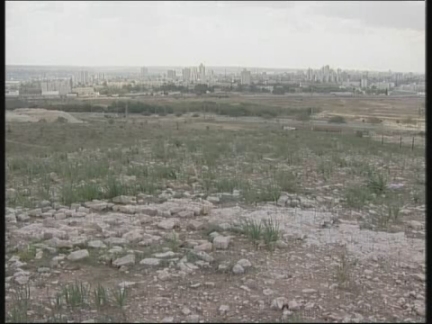 "It is something you just don't see, and until you see it you are not going to believe it." "They love it, as a matter of fact they do get upset when I don't show up with the robot. They would rather see me with the robot, than physically. I think has to do with the fact that the technology is new and they are very curious about the technology. They do embrace the technology, they do accept the technology and frankly they forget at a certain point that the robot is there." A robot is doing medical rounds in a Baltimore hospital. But don't worry it is being controlled by a doctor remotely, allowing him to make virtual consultations when he can't make it to the patient's bedside. Robodoc is now a familiar sight on the wards of Baltimore's Sinai Hospital, allowing doctors to check on patients while he's miles from the hospital. Dr. Alex Gandsas remains in his office whilst he guides the joystick-controlled robot is guided into the rooms of his patients. Outfitted with cameras, a screen and microphone allows Gandsas to communicate with his patients as if he were right there. He says to control the robot you can be in the next room or even another country. In addition to the normal morning and afternoon in-person rounds, Gandsas uses the $150,000 robot to visit patients at night or when problems arise. The robot can circle the bed and adjust the position of its two cameras. Despite resembling a 'six-foot-tall vacuum cleaner' Gandsas says the combination of robotics, wireless technology and the internet has created a useful medical tool. Gandsas presented the idea to hospital administrators as a method to more closely monitor patients following weight-loss surgery. The robot used by Dr. Gandsas is made by InTouch Health of Santa Barbara, California. Gandsas, an unpaid member of an advisory board for InTouch Health, who has stock options in the company, added that since its introduction, the length of stay has been shorter for the patients visited by the robot. A chart-review study of 376 of the doctor's patients found that the 92 patients who had additional robotic visits had shorter hospital stays. Gandsas' study appears in the July issue of the Journal of the American College of Surgeons. Sinai patient David Williams said his family will never believe him when he tells them about the robot. Gandsas says that many of his patients are now upset when he appears in person, preferring the novelty of the robot.